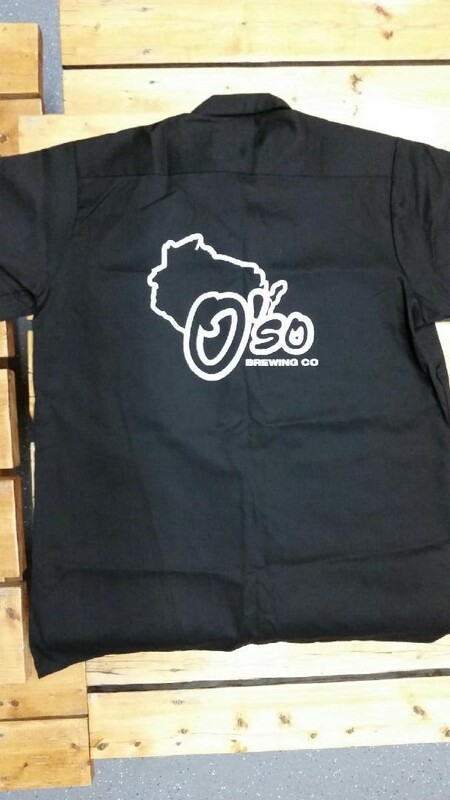 Green short-sleeved T-shirt printed with image of hop cone inside state of Wisconsin outline. 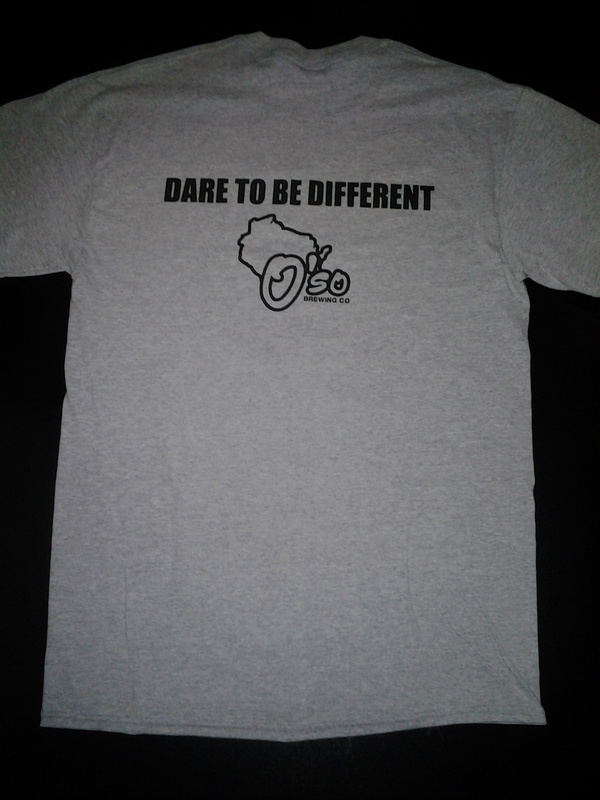 Gray mens short-sleeved T-shirt printed with the O'so "black sheep" on the front and "Dare to be different" and the O'so logo on the back. Available only in gray. Front features the phrase "I LOVE MY BEER O'SO FUNKY!" with a groovy dancer. 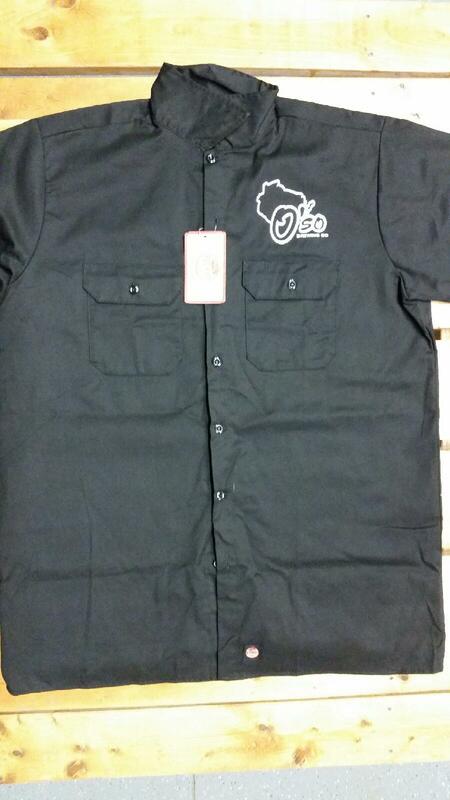 The back features a stemmed glass with an O'so logo. Available only in Tie-dye. 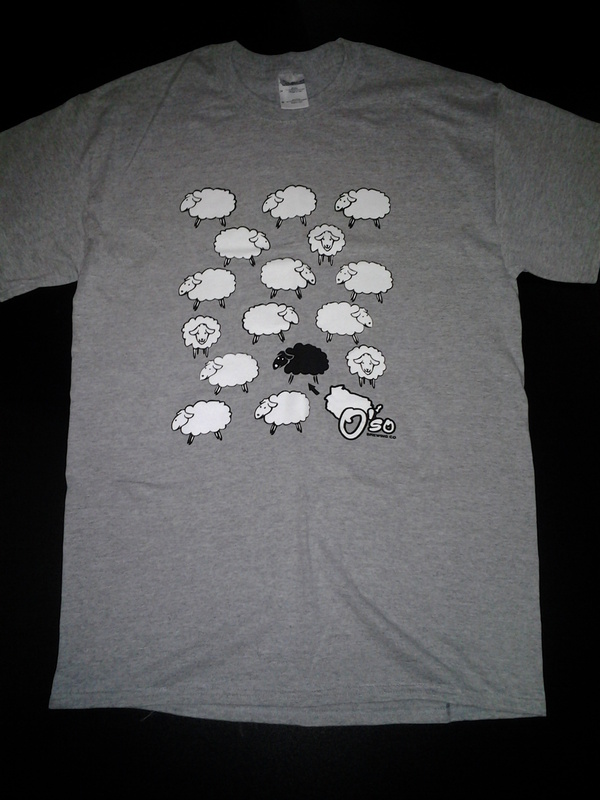 Mens cotton short-sleeved t-shirt printed with "OFTEN WACKY, SOMETIMES OFFENSIVE, SELDOM CONSTRAINED, ALWAYS UNIQUE" on the front, and the O'so logo on the back. Available in black with white print only.